The 10.2in Kogan Agora Netbook Pro will be available for $539 and it runs the gOS Linux distribution. Look out Australia, there's a new netbook about to hit town and it's by Kogan, the company responsible for affordable big-screen TVs, photo frames and other nifty products. After receiving a lot of feedback via blog comments about what people want to see in a netbook, Kogan is set to release its first one this week: the Kogan Agora Netbook Pro. It's a 10.2in netbook that will cost $539. For the price you'll get 2GB of RAM and a 1.6GHz Intel Atom N270 CPU, as well as 802.11g networking, a Bluetooth USB module, a 160GB hard drive and a 1.3-megapixel webcam. Kogan has chosen to release the Agora Netbook Pro with gOS, which is based on the Linux-based Ubuntu operating system. It comes with Google applications, as well as OpenOffice, Skype and Pidgin (an instant messaging program). It's very easy to use and installing more applications will also be easy once you get online. The Kogan Agora Netbook Pro was responsive during our brief hands-on session in the PC World Test Centre; OpenOffice loaded in a few seconds when we tried it, and overall the menu system and general operating system navigation didn't feel sluggish. The notebook felt relatively well made and we like the fact that a panel underneath the unit can be easily removed to access the hard drive and RAM. While Kogan has chosen gOS, it will help users who want to install other operating systems like Ubuntu Netbook Remix or Windows 7 by providing instructions and drivers. Kogan chose a wireless module without built-in Bluetooth, but when the company sought suggestions from the community about the netbook some people indicated they wanted Bluetooth for that once-every-three-months job. As a result, Kogan will supply a USB-based Bluetooth module for free with the Agora Netbook Pro. Not having the Bluetooth module as part of the wireless networking adapter should help save some battery life when Wi-Fi is enabled. Kogan will supply a six-cell battery with the Agora Netbook Pro. As a result of feedback, Kogan has made sure the two USB 2.0 ports on the left side are well separated. This should prevent issues when using oversized USB thumb drives. There are three USB 2.0 ports on the Agora Netbook Pro in total, as well as a D-Sub port, a 10/100 Ethernet port and an SD memory card slot. The netbook's screen doesn't use LED backlighting and it isn't overly bright, but it's not glossy either so it should be useable in an office or classroom, or outside in shaded areas. It's got a native resolution of 1024x600 and has acceptable viewing angles from the top and sides. The Kogan Agora Netbook Pro is easy to carry and throw into a small backpack, and it's also easy to type on. Its keys are only a shade smaller than those on the HP Mini and larger than the ones on the Acer Aspire One AOD150. The notebook's touchpad is responsive and feels smooth to the touch (it's 7cm across and 3.7cm deep). From what we've seen, the Kogan Agora Netbook Pro is destined to be one of the best value 10.2in netbooks on the market. If you want to spend even less than the $539 asking price for the Pro, you can choose to buy the standard version, which has 1GB of RAM instead of 2GB, a 3-cell battery instead of a 6-cell battery and doesn't include the USB-based Bluetooth module (which will be available for $10). The Kogan Agora Netbook Pro will be available directly from Kogan's Web site. 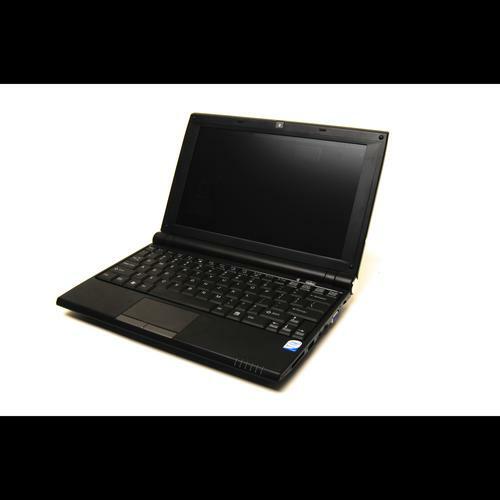 Check out our slideshow of the Kogan Agora Netbook Pro.